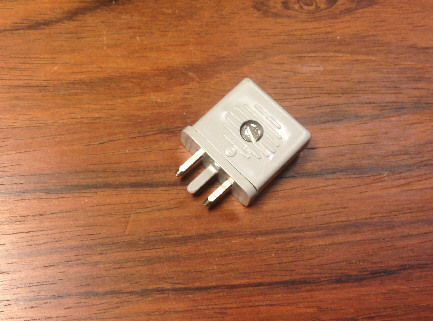 This is the “deluxe” version of the IEC45316 plug. (The “economy” version can be found here). Lightly used or unused old stock. Often used for twin-lead cable and dipole antennas but will also work with other types. Cable screw mount (no soldering). Price EUR 8 plus postage. Generally used for AM and FM antennas in B&O units from the 1930s until the mid-1960s. Pair: One red, one black. (Also available separately – ask!). 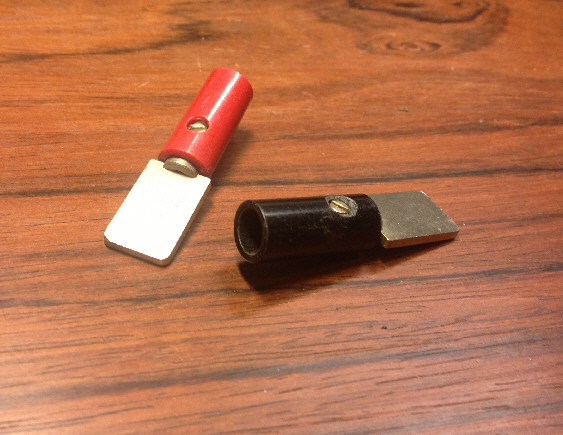 The design and finish of the insulated handles can vary a little but pairs will be of identical design. Little wear from previous use. 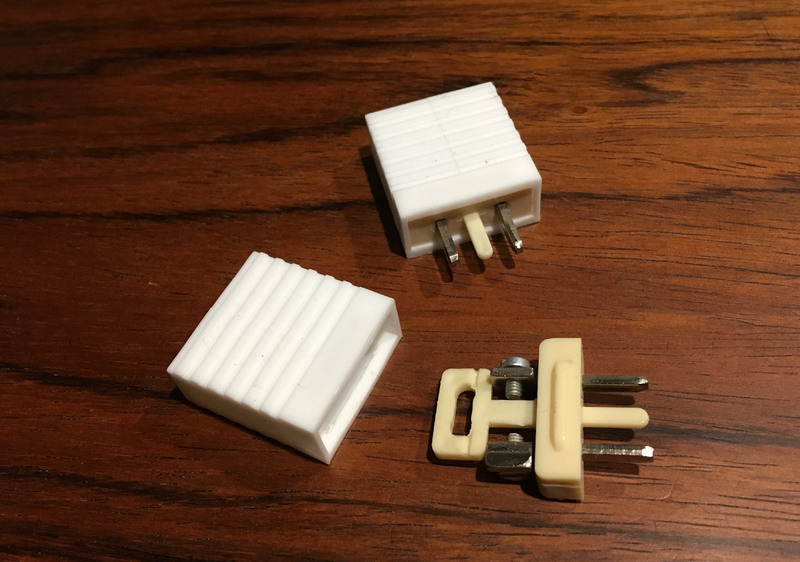 Generally used for connecting a record player (gramophone) to a receiver/amplifier. Generally used by B&O for connecting (external) speaker to a receiver/amplifier from the 1930s til the mid-1960s.